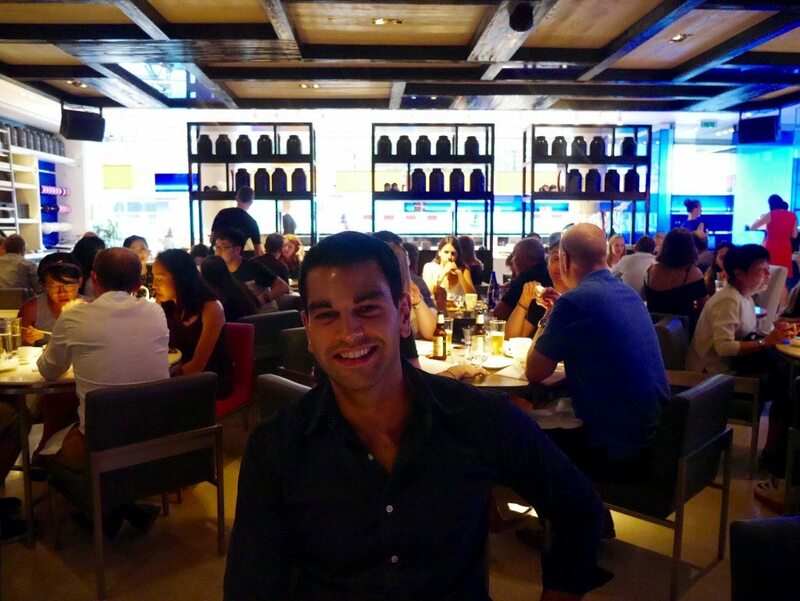 I took Michael to Yauatcha for his birthday dinner two years ago and, since he hasn’t stopped raving about it since, I thought it would be an excellent place to take him for a surprise goodbye meal before he headed off to New York for 5 weeks. Despite the fact that I was going to gate crash his party only 11 days after he left, any excuse for a tasty meal is surely always a worthy one?! 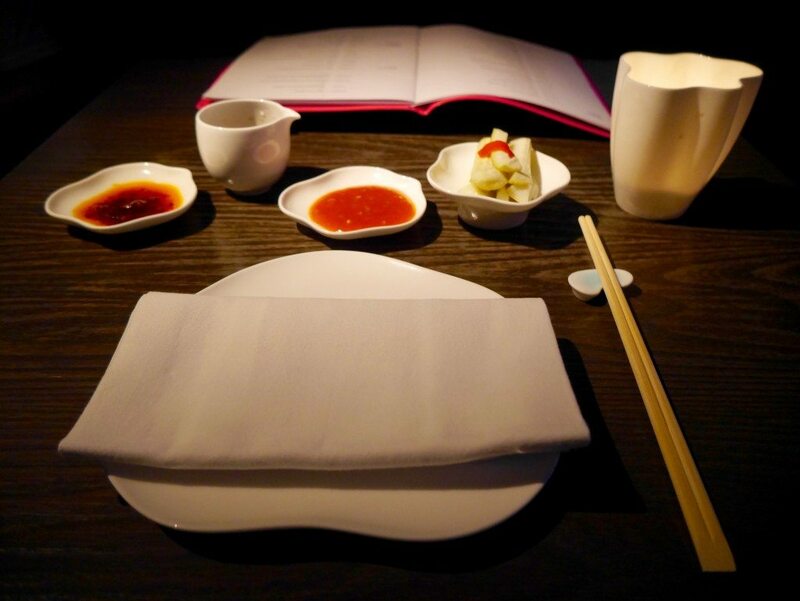 Yauatcha is a fantastic Michelin-starred Chinese restaurant in Soho, which has retained its star since 2005. 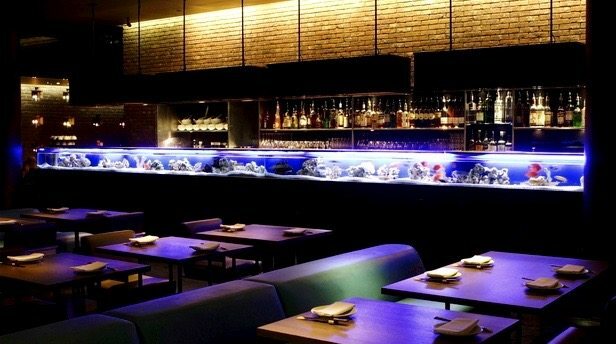 In my eyes, it is the Roka of Chinese food, ticking every box that I look for in a restaurant; exquisite food, personable & attentive service, cool décor & a fun vibe, at affordable prices. 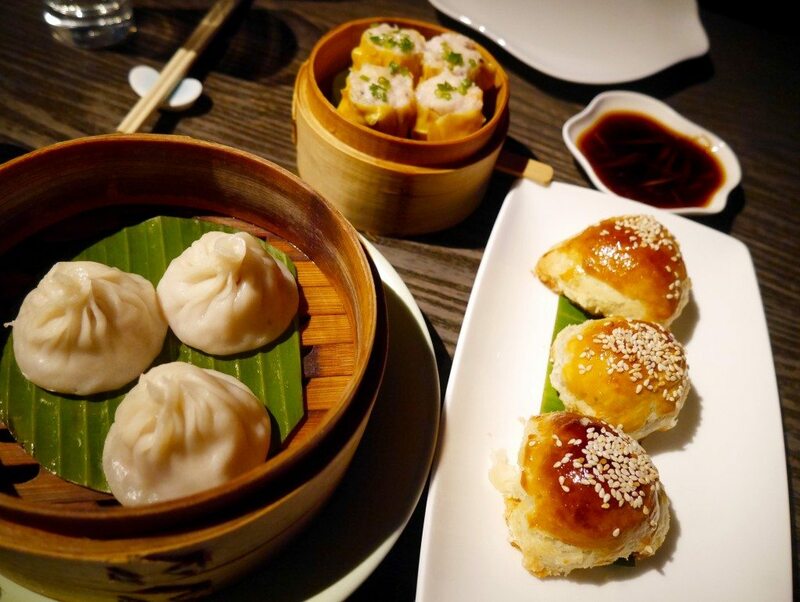 It was created by Alan Yau, the same man who introduced Wagamama and Busaba Eathai into our lives, as well as the exclusive & expensive Hakkasan restaurants. 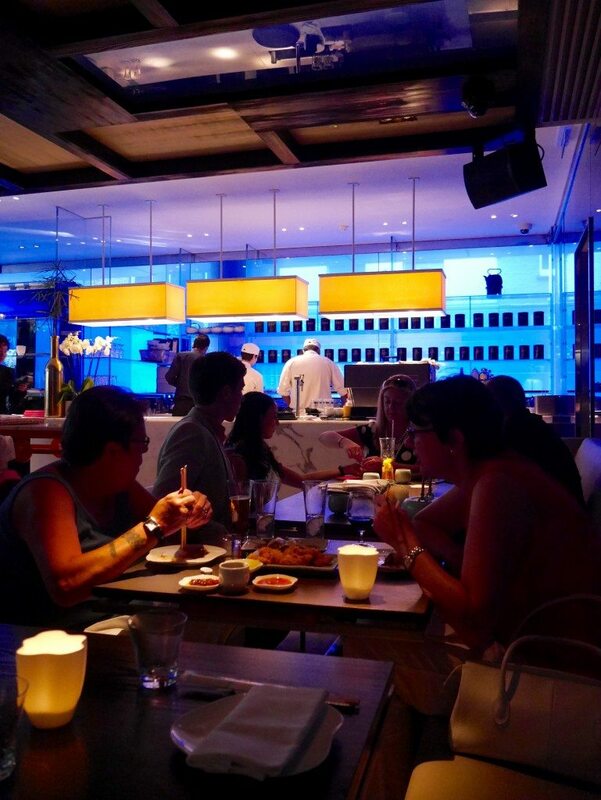 In my personal opinion, Yauatcha is just as good as Hakkasan, but with a (much) cheaper price tag. Service: The service could not have been more seamless. All of the staff were friendly & smiley, which made a refreshing change and real impression. Our waiter was always one step ahead with our water & wine and quick to attend to our every need. He recommended dishes and brought our food at well-paced intervals. The real icing on the cake, however, was when the Restaurant Manager, Carmen Lee, came over to welcome us back to the restaurant – she actually remembered us from our visit two years prior, that we had sat downstairs and been celebrating a birthday, and what dishes we had praised. She must surely be every restaurateur’s dream hire? This level of attention to detail totally blew us away, and even more so when she came to check that everything was OK with our meal and say a warm goodbye before we left. Unbeatable service. 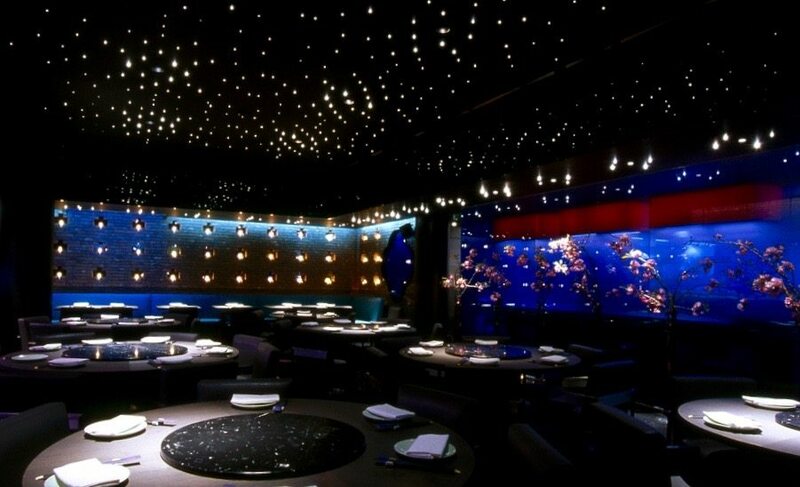 Ambience: Yauatcha is a seriously cool restaurant. 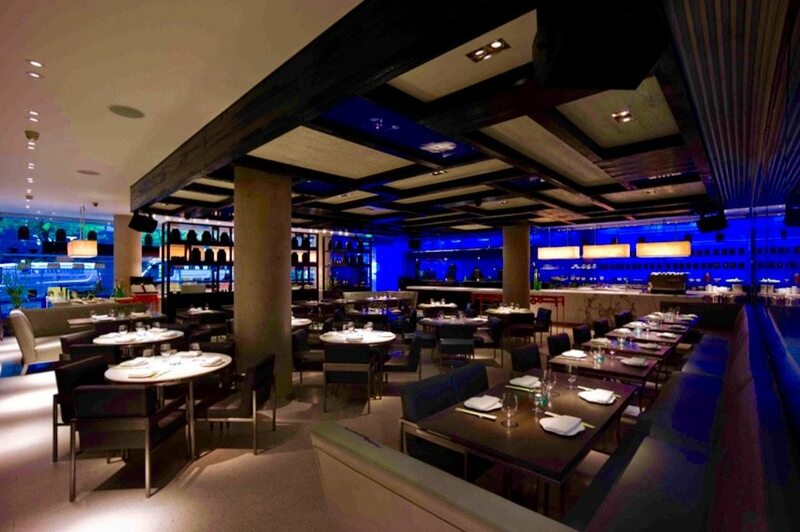 It’s split over two floors that share the same ultra-trendy decor, but have slightly different ambiences. Upstairs provides a more relaxed setting than downstairs, which has more of a ‘nightclub’ (similar to Hakkasan) atmosphere. 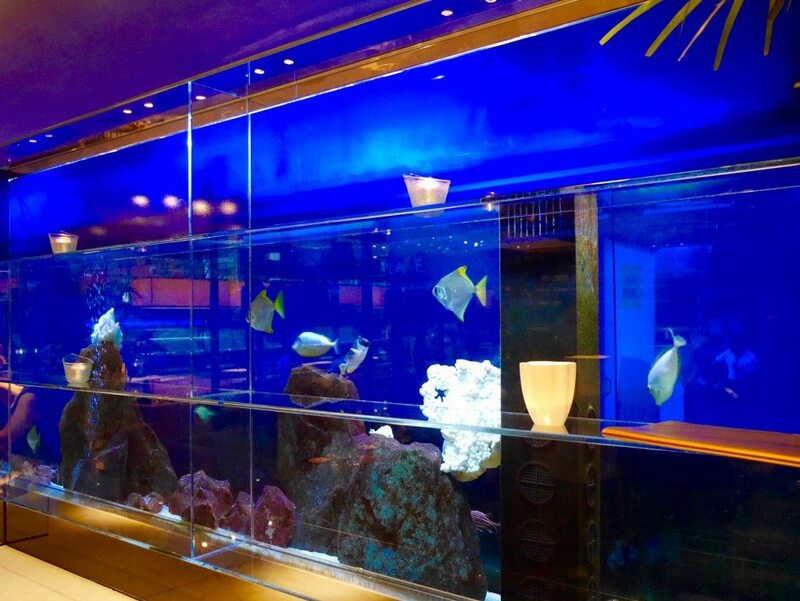 Common themes of both floors are dark furniture, blue LED-lit walls, golden lights, aquariums(! 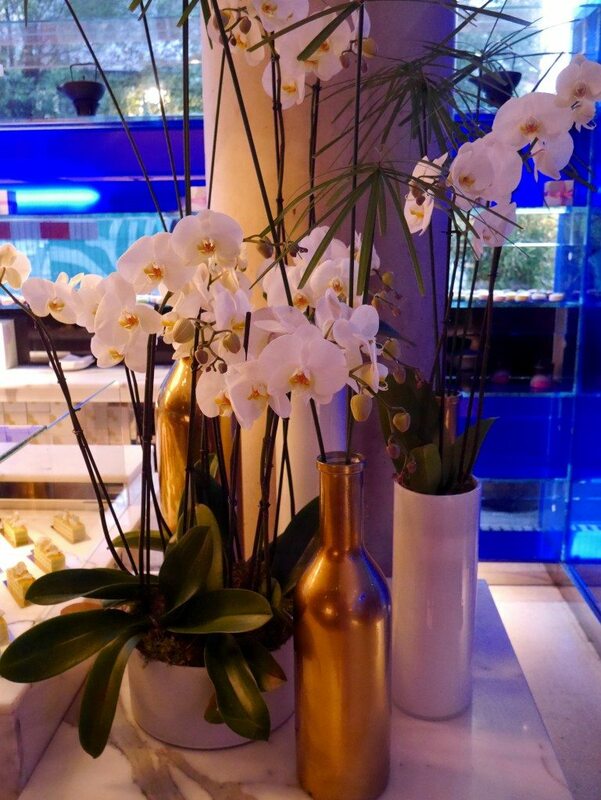 ), and beautiful, oversized orchids. Floor-to-ceiling windows which flood the room with natural light, as well as an open kitchen and in-house patisserie(! ), create a more casual feel upstairs. 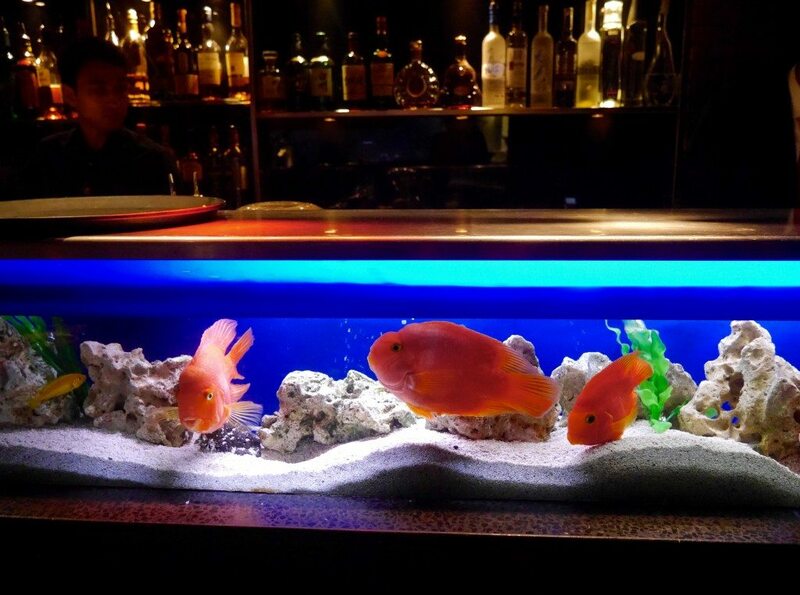 Whilst, downstairs, the overall darkness, blue & gold lights, well-stocked & stunning bar, and star-effect ceiling create a sexier atmosphere. 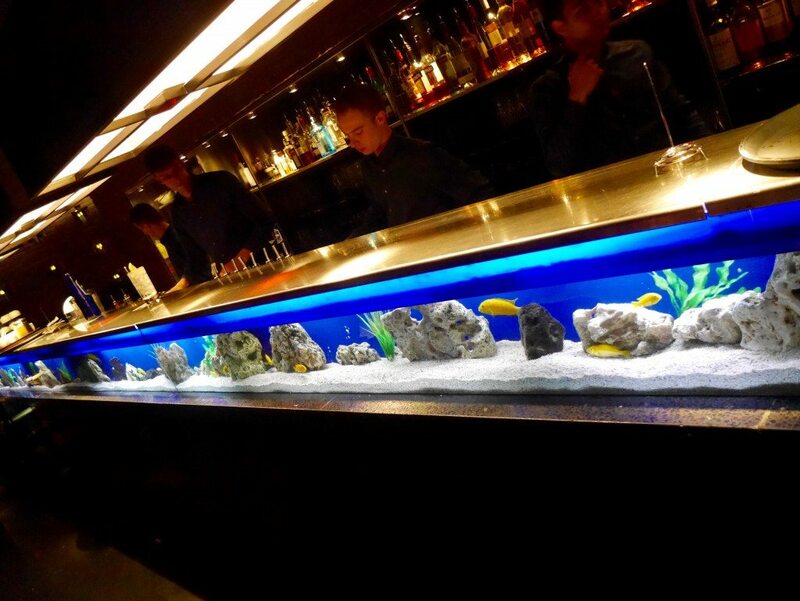 No, your eyes are not deceiving you, that is indeed an aquarium running the length of the bar. Small alcoves in the bricks allow globes of golden light to shine through. As previously mentioned, when we visited for Michael’s birthday we sat downstairs but, on this occasion, we were seated upstairs. 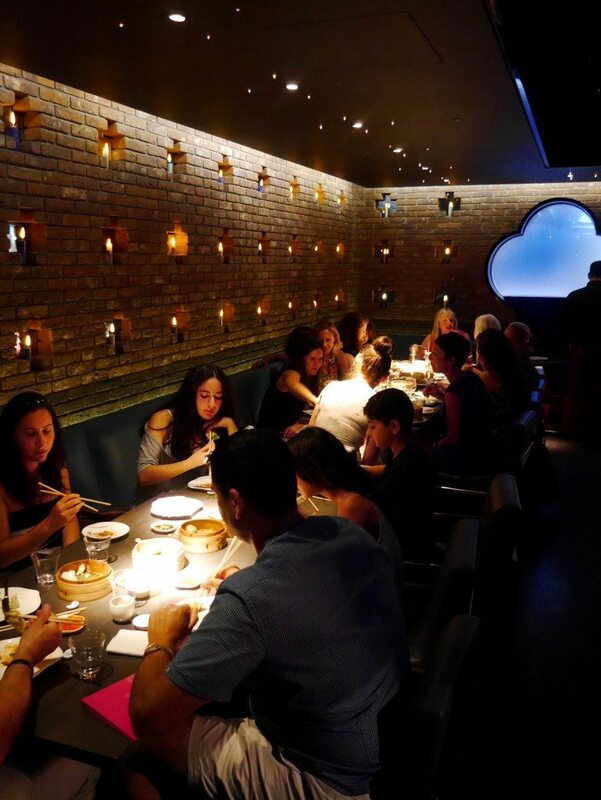 There is definitely a difference in vibe between the two floors, which I actually think is fantastic and a real credit to Yauatcha’s design, as upstairs lends itself to day-time and family meals, whilst downstairs is a great place for a date or meal before a night out. 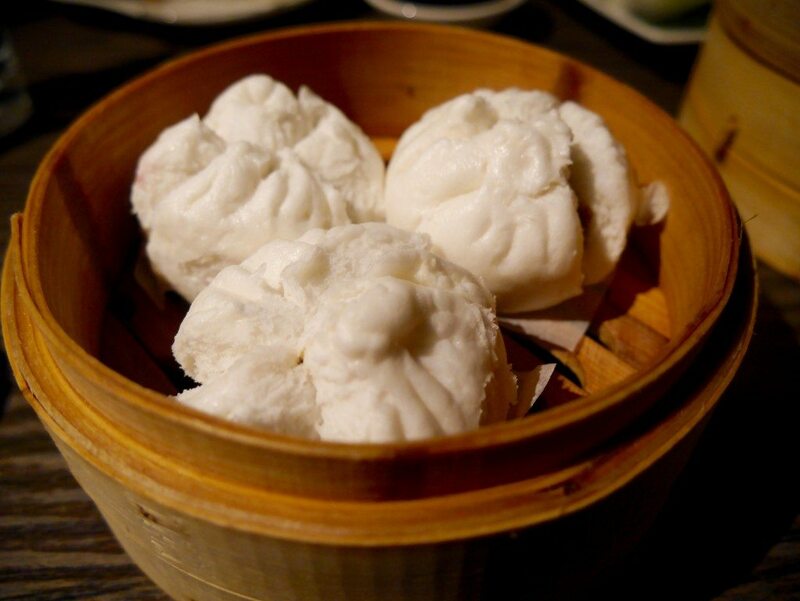 Food: The menu consists of authentic and contemporary Chinese food. As soon as you are seated a selection of dips (I particularly enjoyed the vinegar-ed cucumber) are brought to your table for you to ‘season’ your meal with; an excellent idea, in my opinion. With an epic feast planned we needed a worthy bottle of wine to complement our meal – with the help of the sommelier, we chose the ‘Cabaletta, Tenute Fiorebelli, Veneto, Italy 2012’ (£29.00), which was lip-smacking-ly tasty and spot on what we had requested. 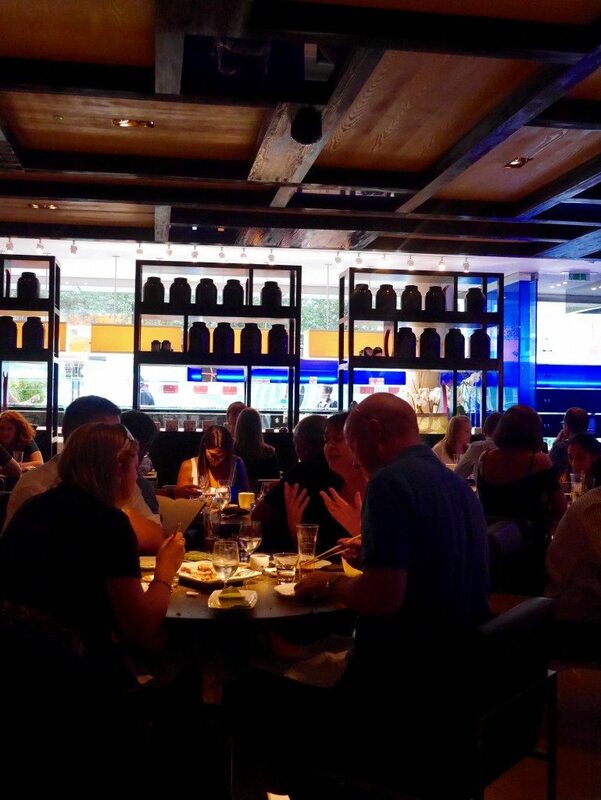 As for food, like with all tapas style/small plates restaurants (such as Opera Tavern, Roka, 8 Hoxton Square, Dishoom, Eight over Eight, Sushisamba, Flesh & Buns and Oka), I would recommend placing orders in waves, so as not to be overloaded with dishes at any one time. 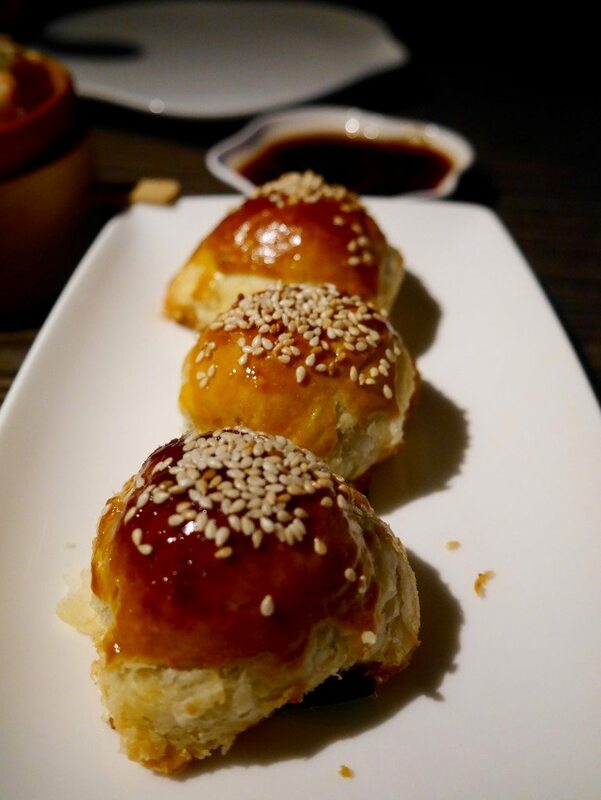 Hence, we started with a selection of dim sum; the pork and prawn shui mai (£5.90), King crab Shanghai siew long bun with pork (£6.90), and venison puff (£5.20). 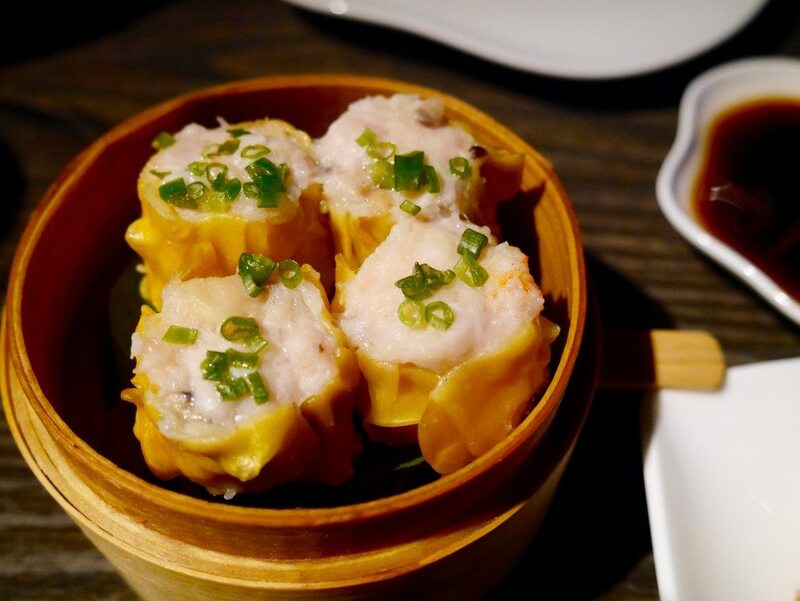 The pork and prawn shui mai was excellent. 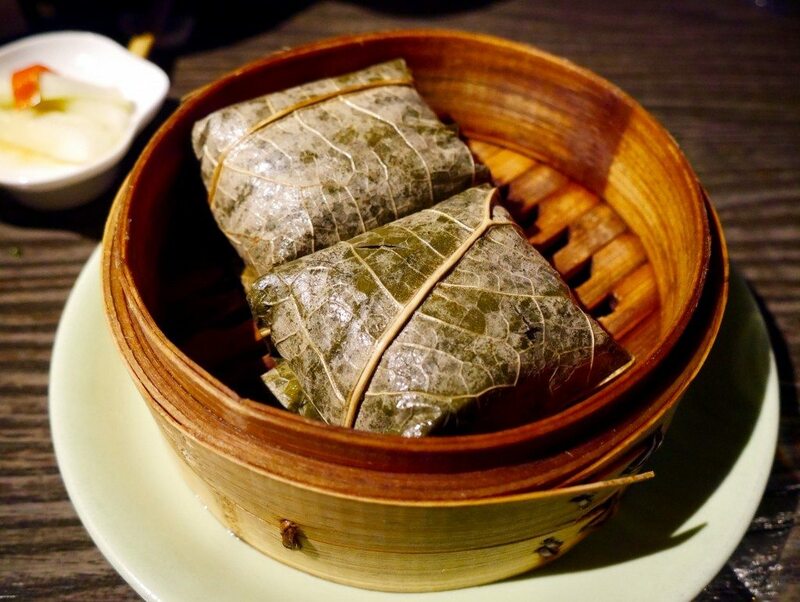 Big pieces of juicy prawn combined with tender strings of pork, encased in a lovely, wet dumpling, were heavenly. The King crab Shanghai siew long bun with pork was meaty & juicy, as it should be, although the flavour of the crab was sadly lost. 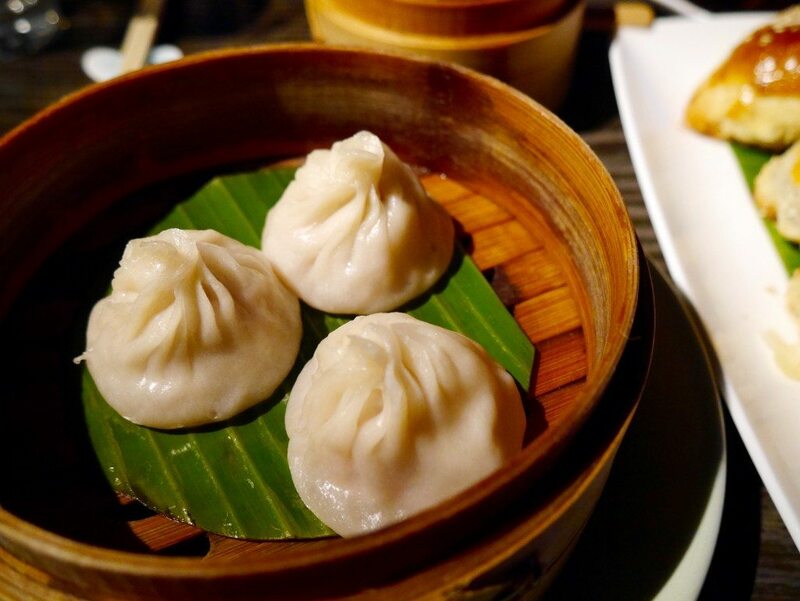 For those unaccustomed to the various types of dim sum, siew long buns are soup-filled dumplings that will squirt liquid should you try to bite them in half – it’s hole-in-one with these babies! The venison puffs lived up to the rumours. The puff pastry flaked away beautifully to reveal a generous filling of sweet & rich marinated meat. The contrasting flavours and textures were rather delicious, and Michael crowned it his favourite dish of the evening (he is pastry mad). More dim sum followed, in the form of prawn cheung fun (£7.20) and fried chilli squid with oatmeal and curry leaf (£11.20). 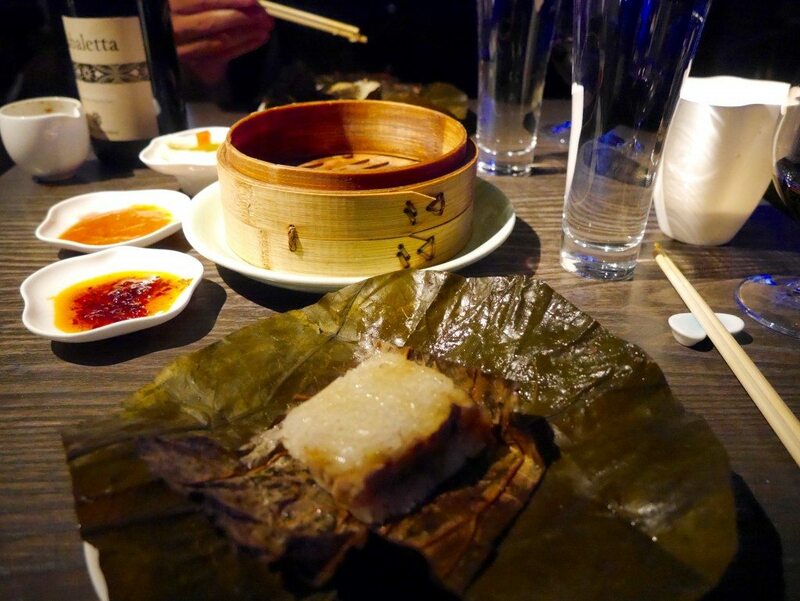 I really love cheung fun and Yauatcha’s serving was as enjoyable as ever. 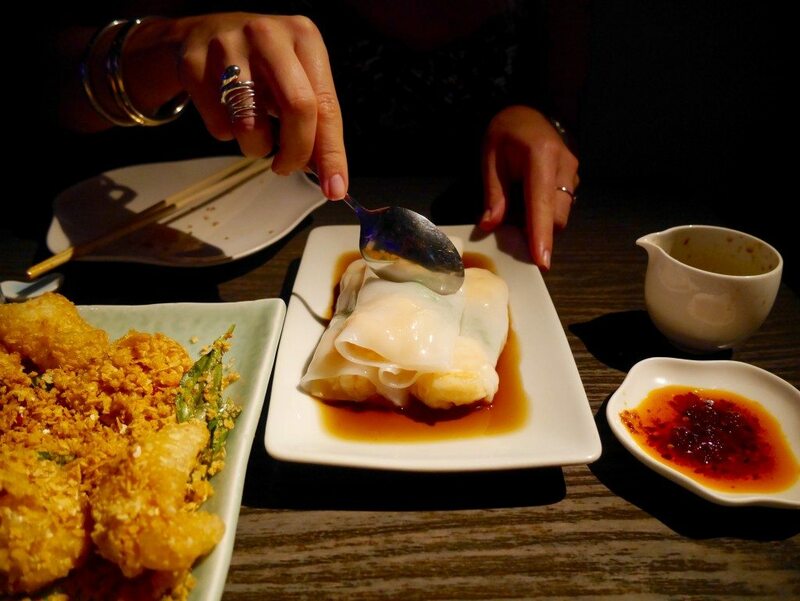 Cheung fun is filled rice noodle rolls, hence they require slicing before you tuck in. 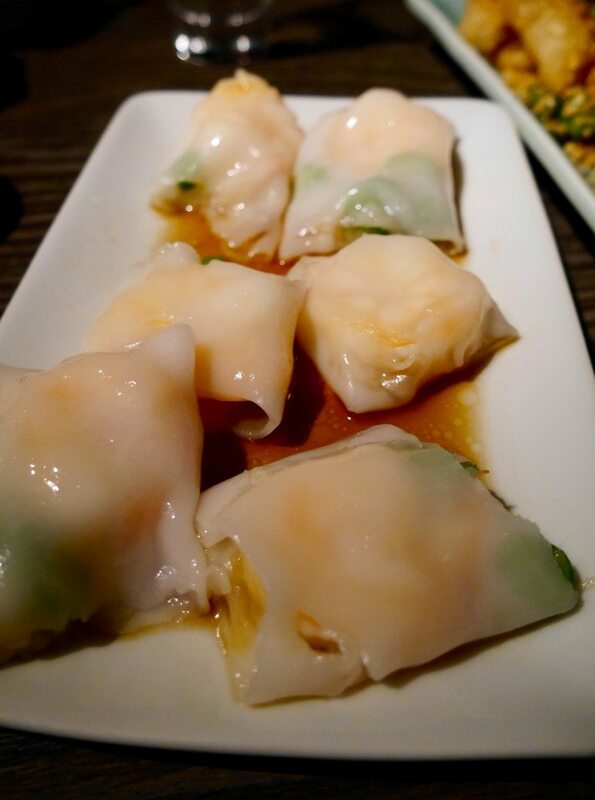 Cheung fun has a very slimy texture, so it’s not everyone’s cup of tea, but I personally really like the contrast of chewy prawn and soft, sloppy casing. The fried chili squid was the only let-down of the evening. Unlike any other fried chili squid that I have ever had, I can only imagine that it was cooked authentic-style, with the battered pieces of squid very large and, although tender, without much flavour. The heavy dousing of crisp, fried oatmeal seemed a strange addition to the dish, and both chili sauce and lemon had to be requested for us to semi-enjoy it. 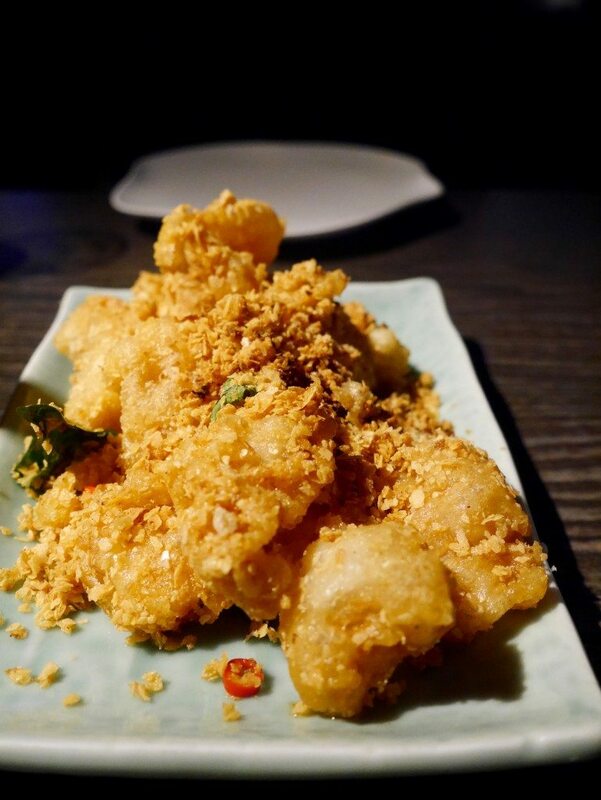 If you’re looking for your bog-standard and beloved serving of fried chili squid (such as is served at 8 Hoxton Square, Eight over Eight and Flesh & Buns), don’t order this dish. For the last of our dim sum, we had sticky rice in lotus leaf with chicken and dried shrimp (£5.20), and char siu buns (£4.80). 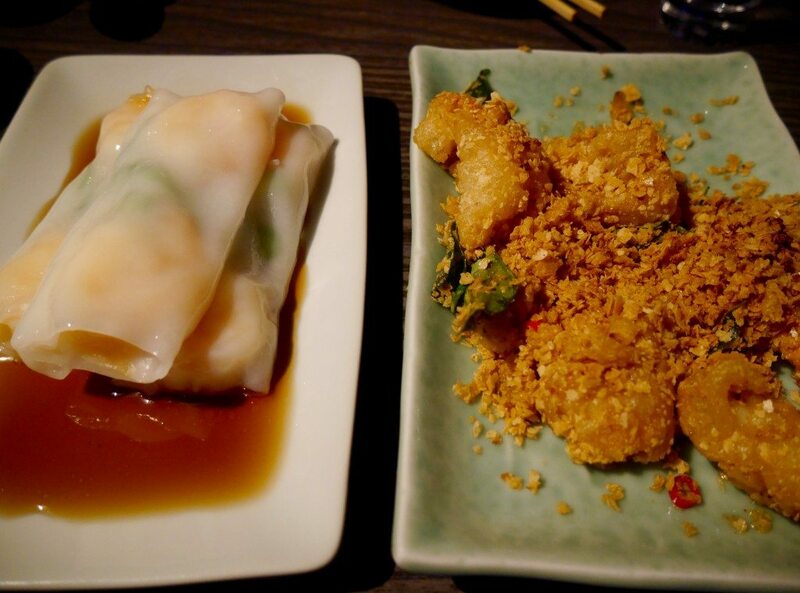 Both of these dishes are firm favourites of Michael & mine, so we had high expectations. 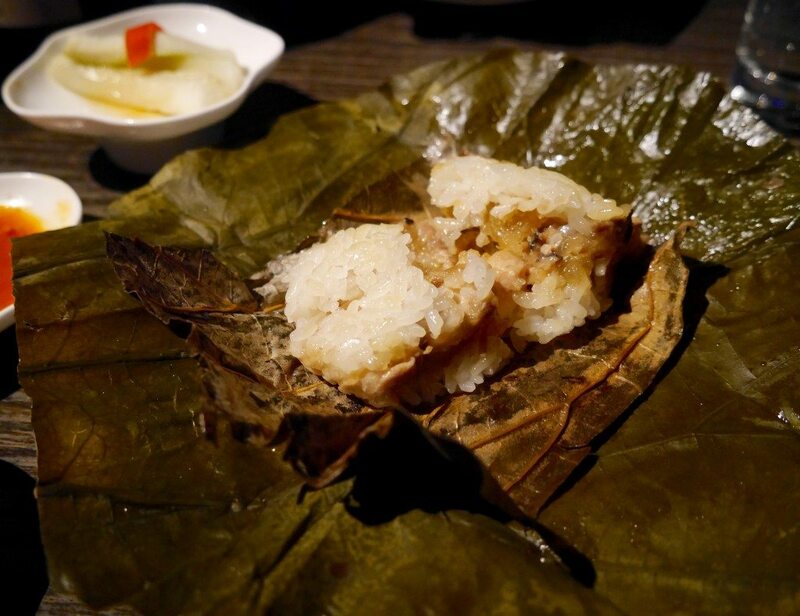 The sticky rice was OK, not bad, but not memorable – I am used to a pork filling and found the chicken a little bland and lacking oomph. 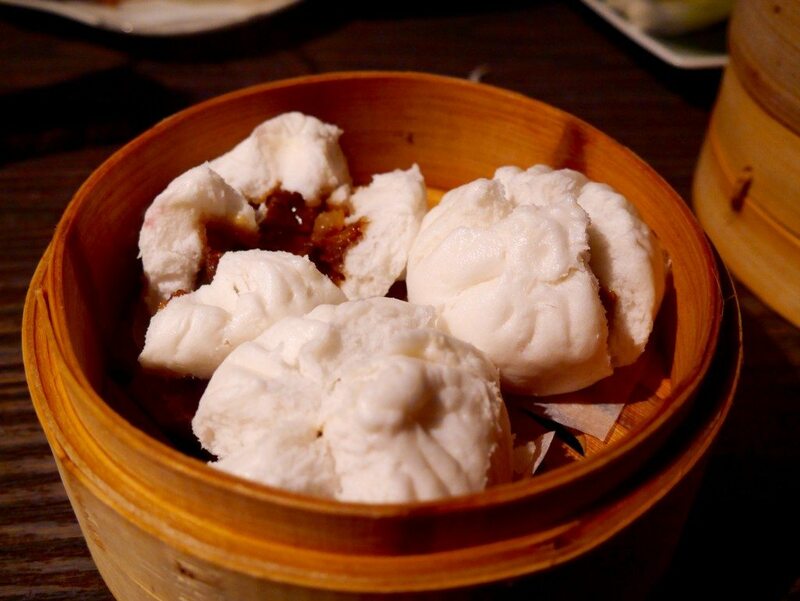 The char siu buns, however, were great. 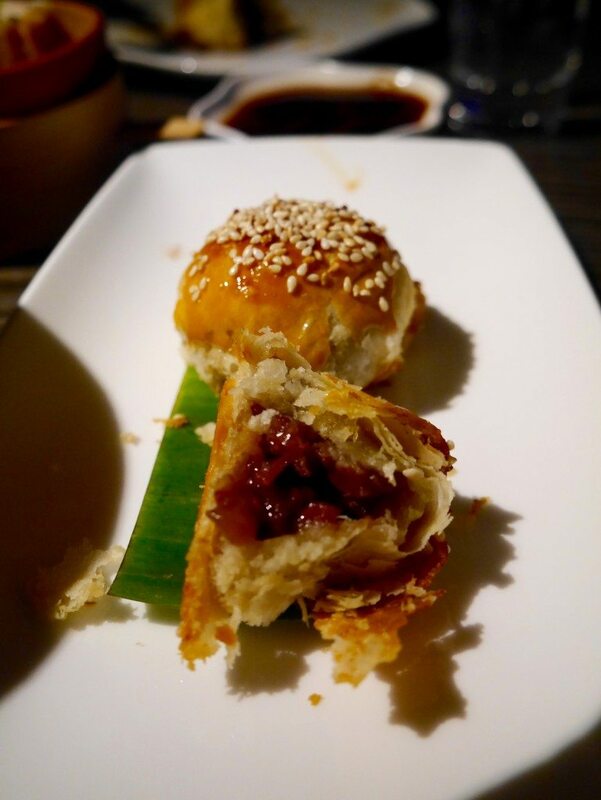 Thick, doughy pillows filled with juicy pork, which had just the right level of sweetness. It’s universally accepted that you can’t go to a Chinese and not have crispy aromatic duck (£17.40 for a quarter)… although somehow Michael and I managed to spend an entire week in Hong Kong and not have it once, MUCH to his disdain – I seriously messed up on that one (and still haven’t heard the end of it!). Thankfully, Yauatcha makes a mean crispy duck; the skin incredibly crisp and the meat wonderfully juicy, unlike Flesh & Buns, which unfortunately carved up a very dry bird. In addition, order after order after order of extra hoisin & cucumber was met with a smile and arrived promptly. We were both fairly stuffed at this point, but sharing an intense love for ribs and having spied the serving on offer, we couldn’t resist. The Jasmine tea smoked ribs (£13.90) were worth the pain – the meat FELL off the bone, without so much as a nibble or a knife involved, and was so incredibly succulent & flavoursome that I could have got down on my hands & knees and kissed the floor in praise of it. 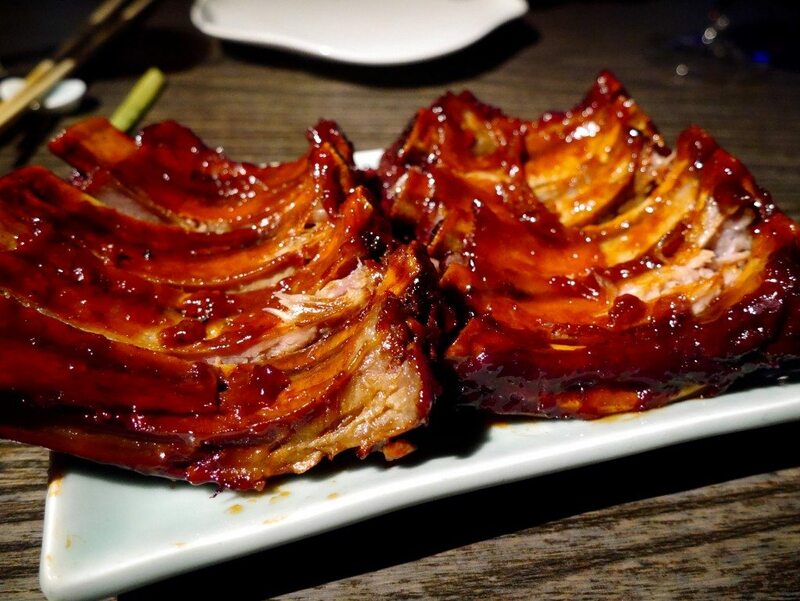 They were definitely the best ribs that I can recall ever eating out, and are even better than those at Eight over Eight and Roka (avoid Hotbox at all costs!). Somehow, when we ordered the ribs, we I also managed to order the Singapore stir-fry vermicelli with prawn and squid (£11.80) – my reasoning being that you surely can’t eat meat without carb (my Grandfather would be so proud). The noodles were pulled high in the air as our waiter expertly filled our small bowls, his hands moving at the speed of light. The dish was delish. Had we not been so full I would have appreciated it more, but we were both in complete agreement as to how good a noodle dish it was, splattered with well-cooked seafood and not a drop of grease in sight. 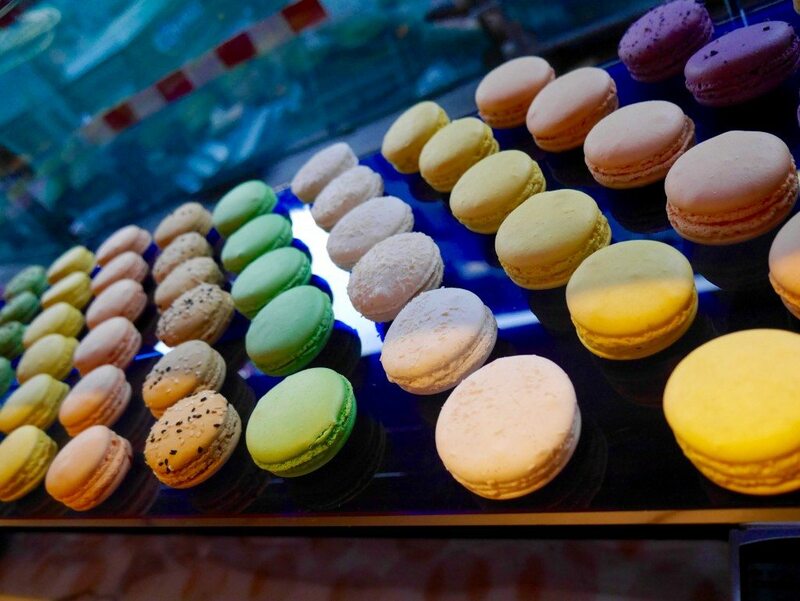 With no room for pudding, we simply marveled at the beautiful dessert counter, with its mouth-watering display of handmade macarons & cakes. We waddled out and spent the entire Uber journey home talking about what an amazing meal & evening we had had. Yauatcha completely floored us both on every level, and I have already penciled our next dinner date in the diary. Price: The bill came to £133.91 with 12.5% service, which is quite simply astonishingly good value for Michelin-starred food that could easily have fed 4, plus a delicious bottle of red. When you then take into account the location, setting & service, it’s an absolute steal, and I couldn’t recommend it more highly. 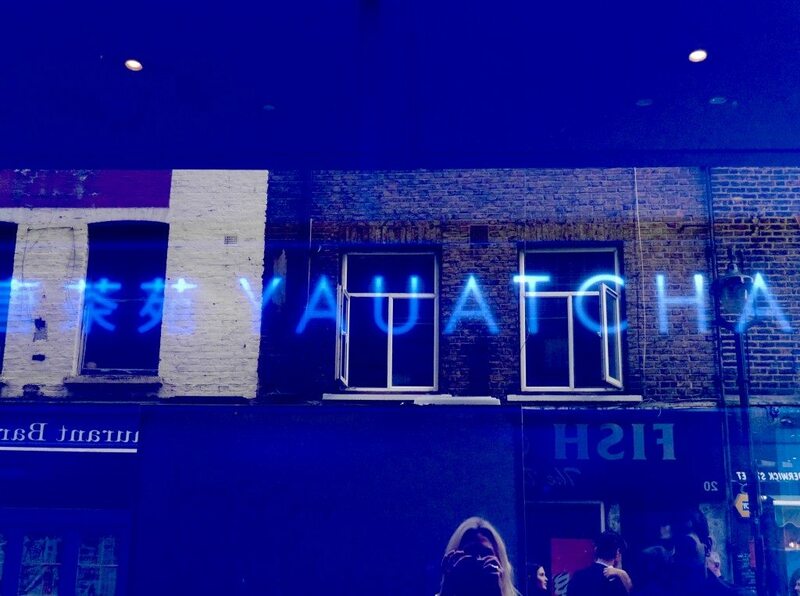 I really need to try Yauatcha as I’ve heard and seen so much good stuff about it… my childhood was filled with Sunday yum cha lunches so it took me a while in my adult life to get used to the idea of having it in the evening with wine! But I think I could manage for Michelin star hahaha! Extraordinary value too! 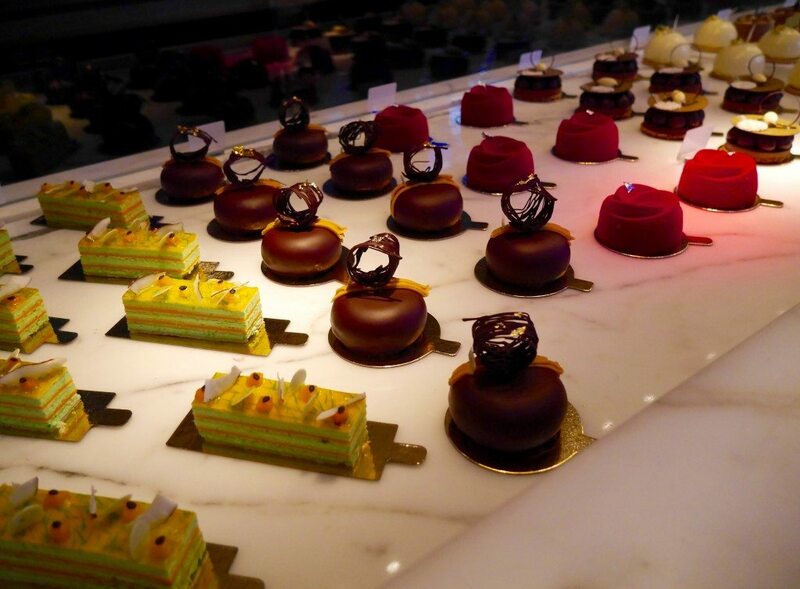 I love Yauatcha! I took my Dad to the Soho one and he still hasn’t stopped raving about how amazing it is! Looks superb! I’ve always wanted to visit, but David isn’t the biggest fan of dim sum! 🙁 May need to organise a visit with my girlfriends! 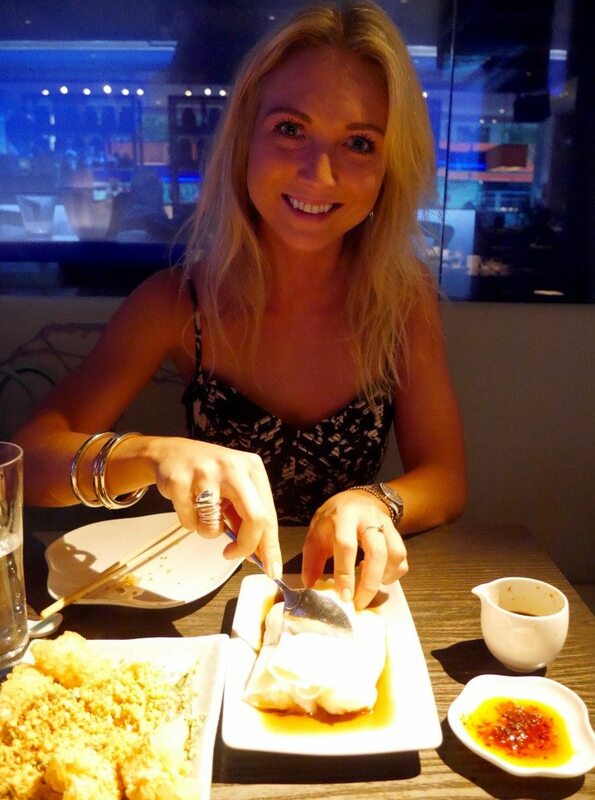 Love Yauatcha – it’s definitely one of my favourite trusty places to go to! The one in the City is stunning, too except it does get exceptionally busy! OMG it looks like you ordered a hell of a lot more than we did. haha. I think I might have to go back and try the rest.